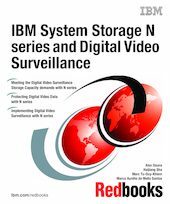 In this IBM® Redbooks publication, we introduce Digital Video Surveillance (DVS) and the role that IBM plays in this industry. We provide the benefits of and define the role of the IBM System Storage™ N series in the DVS solution. We also include an example DVS application software installation and how it operates with the N series storage system.